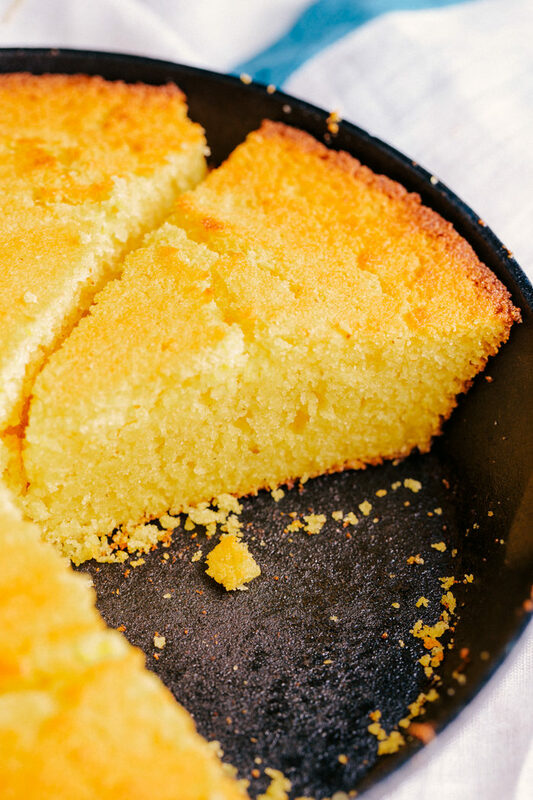 Enjoy the delicious taste and texture of The Best Skillet Cornbread. Served hot and fresh out of the oven with melted butter and a drizzle of honey, this is a comfort food delight. Oh comfort food, the best way to make our hearts smile is through food. 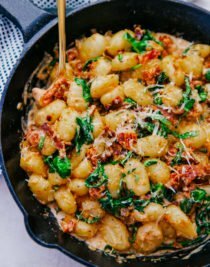 If you love the makings of comfort food you should also try these amazing comfort food recipes as well, Creamy Parmesan Chicken Ritz Casserole, Baked Spaghetti, and Hamburger Steak. When I think of comfort food I think of fried chicken and cornbread. 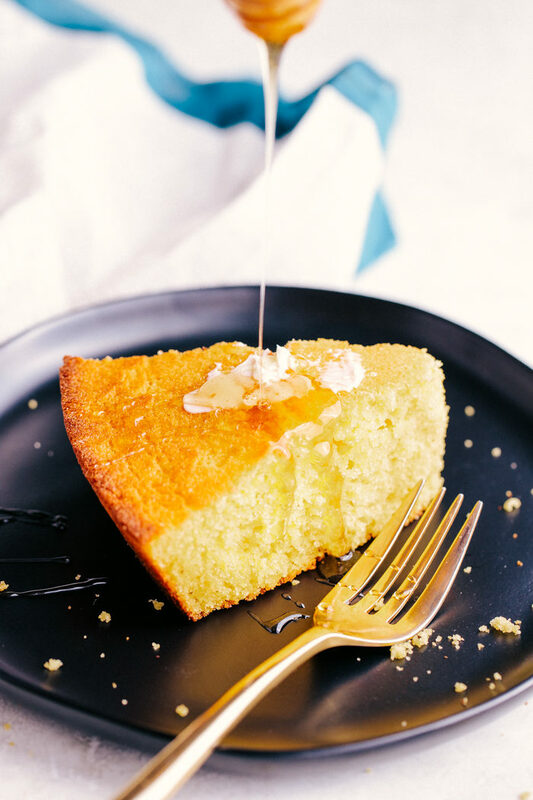 I don’t know about you, but there is just something to be said about a warm light and airy piece of cornbread with butter that slowly melts and is drizzled with sweet delicious honey. This is The Best Skillet Cornbread that is simple to make and can be served hot and sensational right of the oven. Cornbread is the perfect side to so many things, we love it with our Jalapeno Mac and Cheese. Cornbread is also one of those side dishes that can be served without butter or honey. 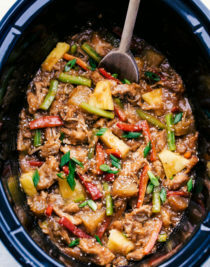 It is great to use to soak up any yummy juices or gravy from whatever you are serving it along side. Have you ever made Chicken Fried Steak and Gravy? 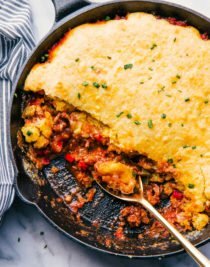 It is so good and this Skillet Cornbread recipe is amazing with it. I love when dipping cornbread into gravy and some of the crumbs fall off so I can scoop them up with my chicken. It gives me that happiness comfort food provides. It is a type of bread consisting of cornmeal and leavened with baking soda and not yeast. It is written that cornbread is eaten with molasses in the South and honey in the North. How do you make cornbread from scratch? Preheat oven to 425 degrees. Using a 10 inch skillet pour melted butter in skillet and brush to coat the bottom and side. 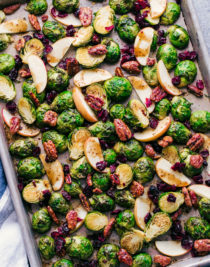 Place the skillet in the preheating oven until ready to use. In a large mixing bowl whisk to combine, cornmeal, sugar, flour, baking powder, baking soda, and salt. Pour in buttermilk, eggs, honey, and 8 tablespoons of melted butter. Stir to combine. 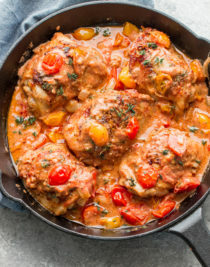 Remove skillet from oven and pour batter into skillet. Bake for 25 minutes. 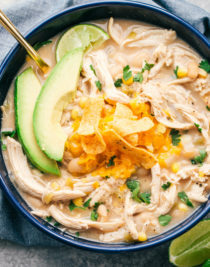 What can you add in to cornbread? 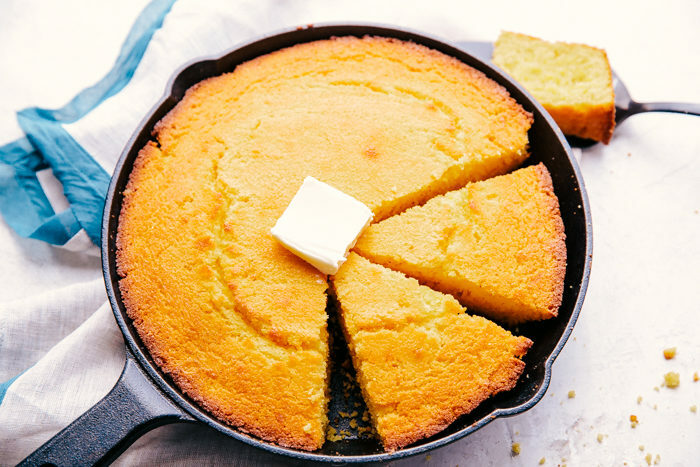 Do you have to make cornbread in a (cast iron) skillet? No. 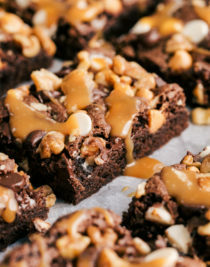 You can use a round or square baking pan if you don’t have a cast iron skillet. Bake 25 minutes or until a toothpick inserted in the middle comes out clean. 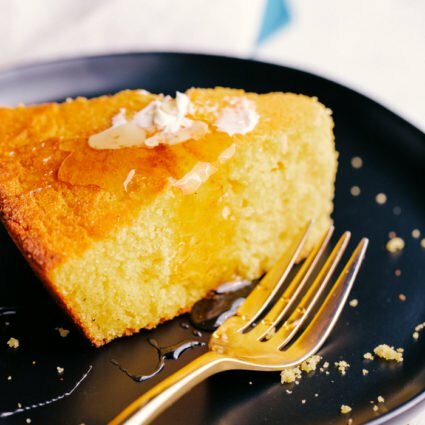 What can you serve cornbread with? Skillet cornbread is a delicious side to so many meals It can also be made into muffins and served as a side at a brunch or breakfast. Perfect with omelets, oatmeal and grits. Cornbread is definitely a comfort food staple and this recipe for The Best Skillet Cornbread is easy to make and delicious to eat. Preheat oven to 425 degrees. 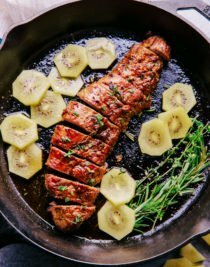 Melt 2 tbsp of butter and pour into a 10 inch cast iron skillet. Brush melted butter on the bottom and sides of skillet and place in the oven to preheat. In a large bowl whisk together cornmeal, sugar, flour, baking powder, baking soda, and salt.